Central Iowa farmer Roger Zylstra put a rye cover crop on strips of this field after he harvested corn last fall. This year, he'll compare the soybean yields on the areas with and without the rye cover. 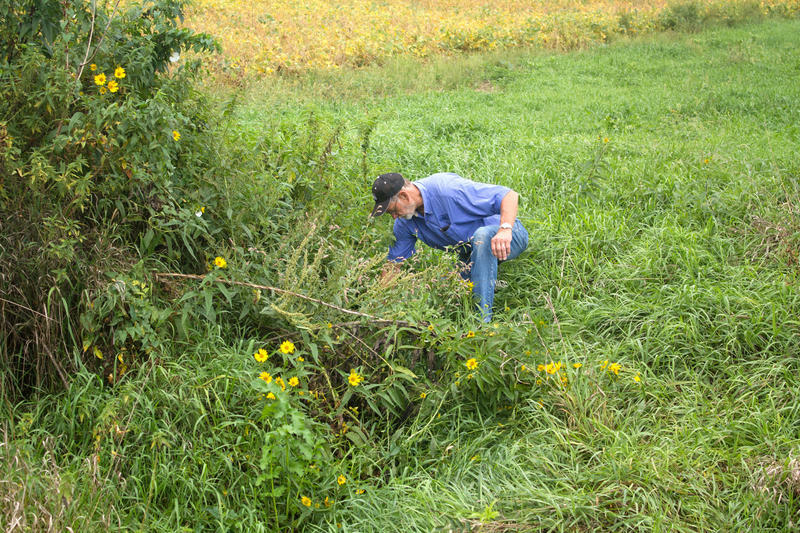 Along a Jasper County road, farmer Roger Zylstra searches for a drain output from his farm field's tile drainage system. 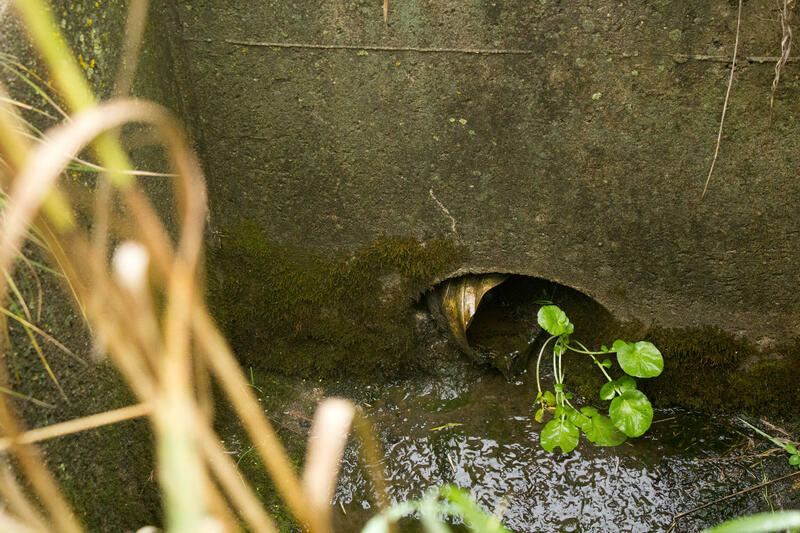 A tile drain that runs underneath one of Zylstra's farm fields brings water into this culvert under a county road. 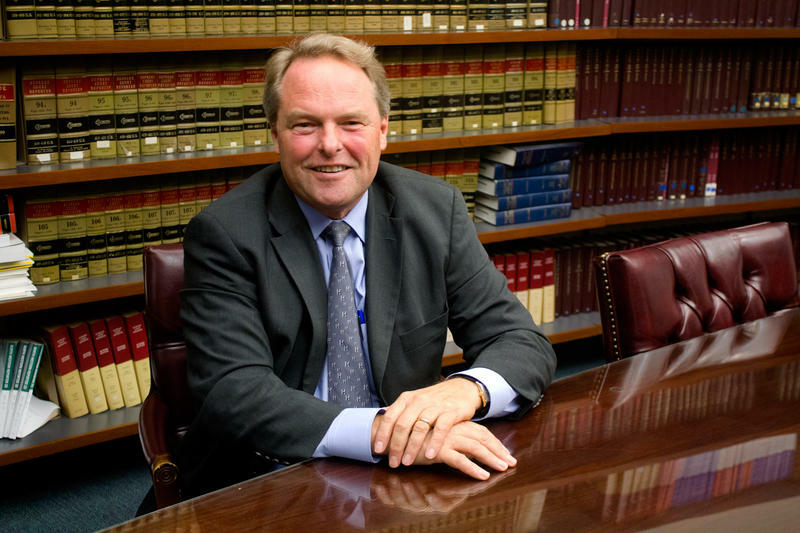 Law professor and landowner Neil Hamilton, director of the Agricultural Law Center at Drake University, says lawsuits aren't the path to clean water. Iowa farmer Bryce Engbers has started to use cover crops after seeing their impact on a field near his. Des Moines Water Works CEO Bill Stowe gestures with a pitcher of water as he talks about the problem of nitrates in the water supply during a meeting in Ames. 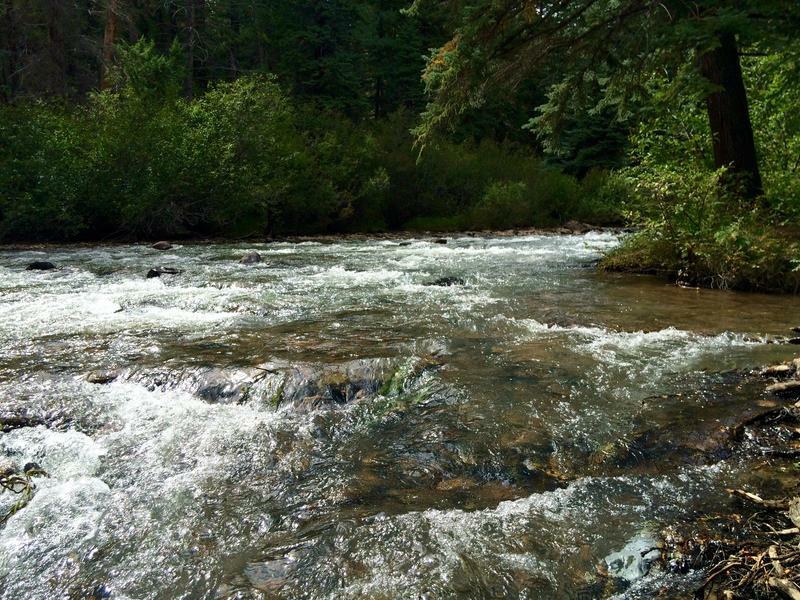 This is part three of five in the Harvest Public Media series "Watching Our Water." Water like this is called runoff and it can contain harmful chemicals, such as nitrates from fertilizer that plants don't absorb or excess pesticides. For years, contaminants like these have reached public waterways. While federal regulations have successfully cut back some types of water pollution, like raw sewage and industrial waste, the landmark Clean Water Act, now 44 years old, has little muscle in combating what is one of the Midwest's biggest environmental problems: agricultural runoff. Even in the case of tile drain pipes like the one on Zylstra's field – and there are miles of these lines throughout the Corn Belt – the runoff from farm fields is not regulated. The American Farm Bureau Federation and other farm groups have vocally opposed regulation of farm runoff, fearing it will impose specific conservation requirements across the board. 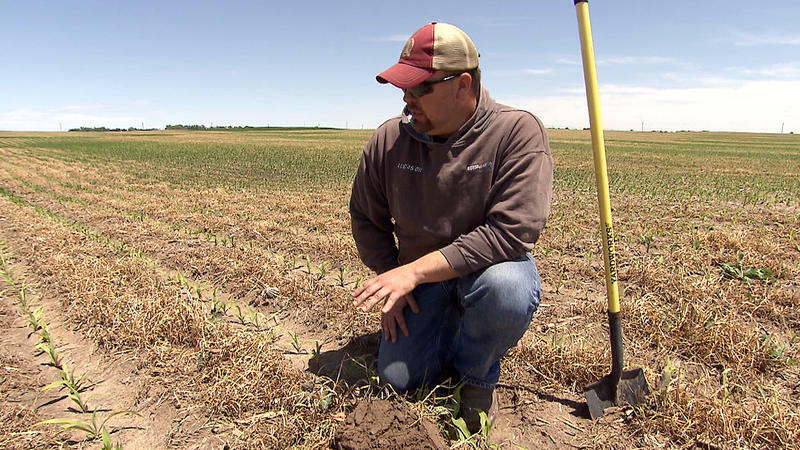 Instead, many farm groups, like the National Corn Growers Association and the Iowa Soybean Association, have launched their own initiatives to encourage farmers to adopt conservation practices that can improve their soil while also diminishing harmful runoff. Zylstra raises hogs and grows corn and soybeans. To improve soil health, he also planted what is known as a "cover crop" here and signed onto the National Corn Growers Association's Soil Health Partnership, which will cover his costs in exchange for him gathering data. Cover crops are plants that grow after harvest and, in some cases, before planting. Their presence keeps soil from washing away and nutrients such as nitrogen from leaving the fields. Zylstra will determine whether they can also help improve his crop yields, which could mean money spent on cover crops is earned back through increased crop revenue. The cereal rye cover crop went on alternating strips of the field and he will report yield differences between the sections with and without the cover crop. On this September day, he sees promise from the areas that had the rye. 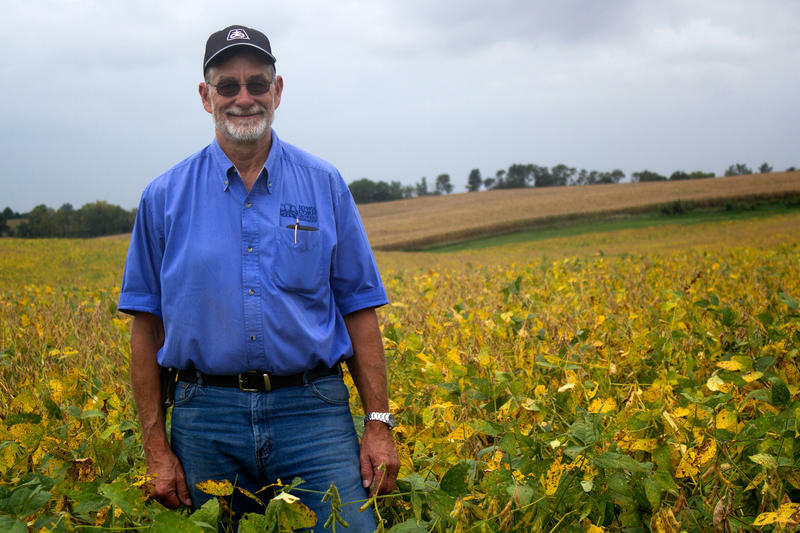 "Where it's greener over there, that was where the rye cover was and it looks like maybe the beans are just a little bit more healthy there," he says. "I don't know. When we harvest it we're definitely going to be able to start to quantify some of that information." 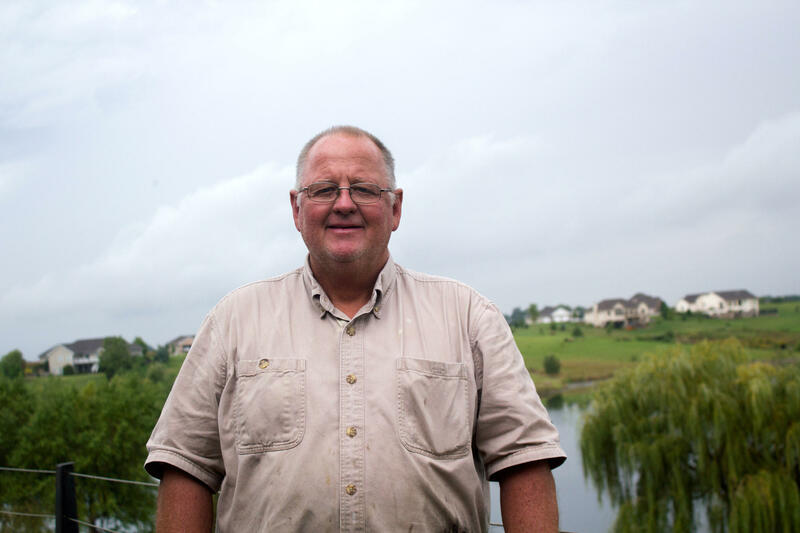 Zylstra hopes he can both keep pollutants out of the water and be an ambassador for other farmers who have not yet embraced cover crops for conservation purposes. "I recognize that if we don't do these things, if we don't learn how to be better stewards of the soil and water, that we're going to end up regulated," Zylstra says. "And I live under regulations with our hog operations and I live under other regulations and I know that they can be a positive influence. But I know they also can be one-size-fits-all and very frustrating." The use of cover crops has expanded widely in recent years. But the amount of farmland potentially sending unwanted chemicals downriver has exploded. Since the Clean Water Act was passed in 1972, the number of acres growing corn and soybeans in this country has increased by more than 50 percent (from 114 million acres to nearly 178 million acres, according to the U.S. Department of Agriculture). Iowa alone now has about 22 million acres of these crops. About 500,000 of those get planted with cover crops. The Dead Zone in the Gulf of Mexico, blamed in part on pollution from Midwest farm runoff, is forecast to be about 6,000 square miles, or roughly the size of Connecticut. 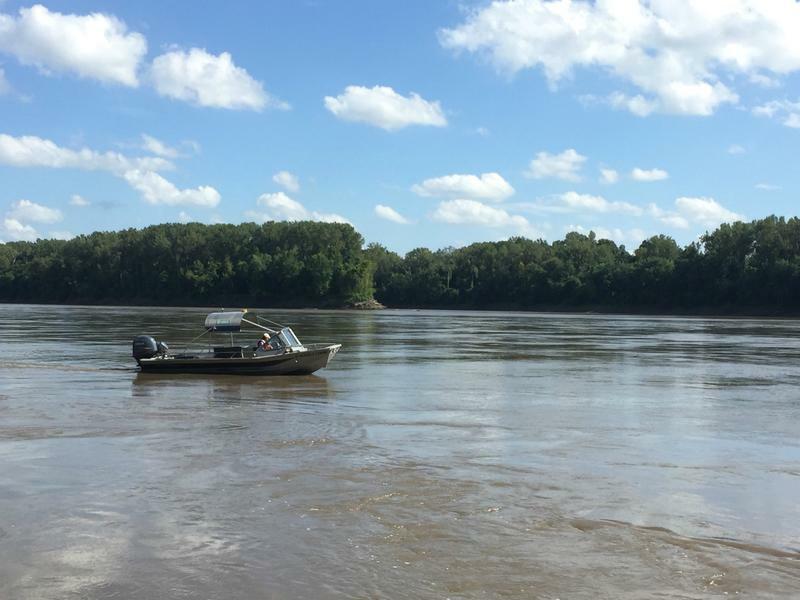 For years, the Mississippi River/Gulf of Mexico Hypoxia Task Force has brought state, federal and tribal groups from throughout the Mississippi River watershed together to assess the problem and map out solutions meant to reduce the toxic flow into the Gulf. In response, several Midwest states, including Iowa, have created "nutrient reduction strategies" to help clean up the water. "There's nothing about it that's enforceable or that has any regulatory dimension to it," says Neil Hamilton, director of the Agricultural Law Center at Drake University in Des Moines. Iowa's plan is voluntary and, Hamilton says, while it's long on science and goals, it's very thin on implementation. "The nutrient reduction strategy has also had the political effect, or benefit – depending on where you sit, as being able to try to delay or defer conversations about other things," Hamilton says. Those things might include implementing a sales tax increase to fund water quality projects. Iowa voters approved one in 2010, but it's still not in place. Or Hamilton says Iowa could pass a buffer strip law, as Minnesota has, to require perennial plants between farm fields and public waterways. Frustrated by inaction and ongoing nitrate problems, the city of Des Moines' public water utility, the Des Moines Water Works, has sued upriver drainage districts alleging they've allowed pollutants from farm fields to poison public waters. Hamilton says the suit raises some interesting legal questions about who is responsible for pollutants that flush out of fields and down into city water supplies. But regardless of the lawsuit's outcome, he says no court decision will make the water cleaner. "We aren't going to be able to litigate our way there," Hamilton says. 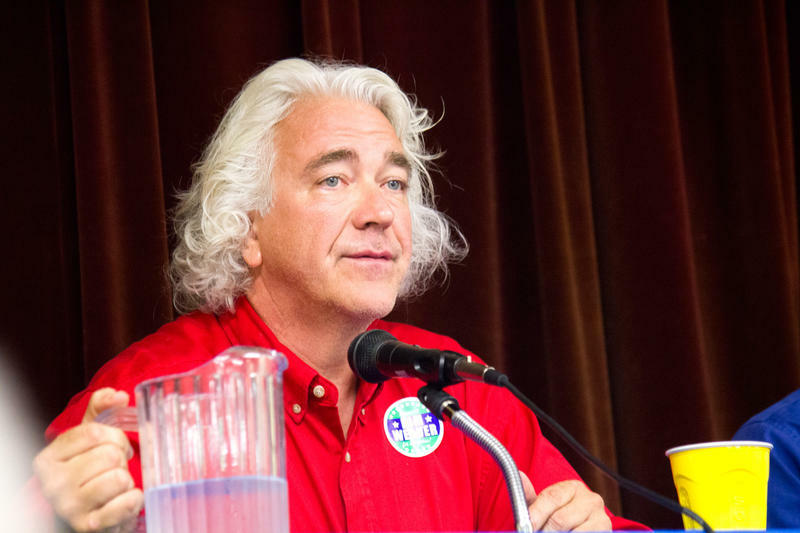 But Bill Stowe, CEO of Des Moines Water Works, insists that holding accountable the farmers or agribusinesses that apply nitrogen fertilizer that ultimately leads to nitrates in the water supply is the only way to achieve change. He doesn't think a sales tax on all Iowans is the solution because he views that as passing onto consumers what should be a cost of production. Agriculture is big business, he says, "and it's big business that's poisoning our water." Recently, the Iowa Farm Bureau Federation and the Iowa Corn Growers Association announced they will pay the legal fees for the three counties named in the lawsuit. Back out on the fields, companies and environmental groups have joined the farm organizations and state and federal governments to offer money to farmers so they will try cover crops and other techniques to reduce runoff. The example of these early adopters can be a powerful tool to push other farmers to try new conservation practices. That's part of the thinking behind the Soil Health Partnership's expectation that Roger Zylstra will become an ambassador to other farmers in his area. Already Bryce Engbers, a neighbor who farms with Zylstra, is on board. "I get to see all of his data from our yield monitor, we share a combine together so yeah, we're keeping a very close eye on how it's working," Engbers says. And because he likes what he's seen from the cover crops, he's planted some, too. He also points out that farming is cleaner than it was decades ago. "I'm polluting much, much less than what I ever did before," Engbers says, offering as an example hog barns that collect manure, which he can then spread on his fields. Those barns replaced livestock on open lots, which he says allowed manure to wash directly into the stream below whenever it rained. But advocates for water quality insist comparisons to yesteryear aren't the point. The point is to hit agreed upon goals to reverse the current problems. And repeatedly the Midwest's voluntary approach has failed to do that. Standing on a platform above the eastern bank of the Missouri River at the Kansas City, Missouri, Water Services intake plant is like being on the deck of a large ship. 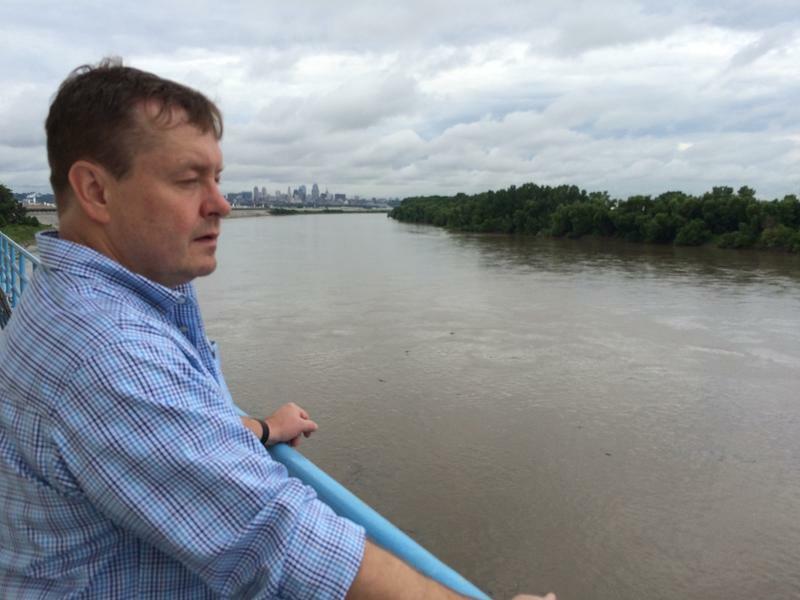 Farming in the fertile Midwest is tied to an environmental disaster in the Gulf of Mexico. But scientists are studying new ways to lessen the Midwest's environmental impact and improve water quality. The National Oceanic and Atmospheric Administration (NOAA) forecasts the so-called "dead zone," an area of sea without enough oxygen to support most marine life, to grow larger than the size of Connecticut, or roughly 6,000 square miles.